In a food processor or blender, blend together lemon juice, olive oil, garlic, oregano, rosemary and thyme to create a marinade. Season chicken thighs with salt and pepper to taste. Place chicken in freezer bag with blended marinade, and remove the air through a vacuum sealer or the displacement method. Drop the bag in the bath for an hour and a half. Remove bag from bath. Take chicken out of the bag, pat dry and season with salt and pepper to taste. Set the bag containing the marinade to the side for the sauce. Heat up large skillet on medium high. Add 1 Tbsp of olive oil and 2 Tbsp of butter. When the butter and oil begin the sizzle, add in chicken thighs skin-side down for 1 minute, or until browned. Flip and cook other side for 1 minute. 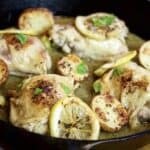 Remove chicken thighs from skillet, and place on plate to rest. Add the marinade from the bag in to the skillet. 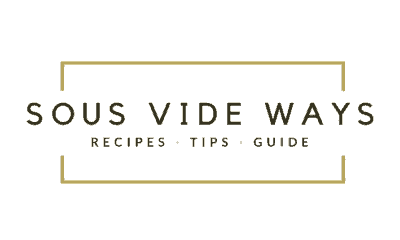 Bring liquid to a simmer, and cook for 3 minutes. Return chicken back to the pan for 1 minute, and baste the chicken with the sauce. 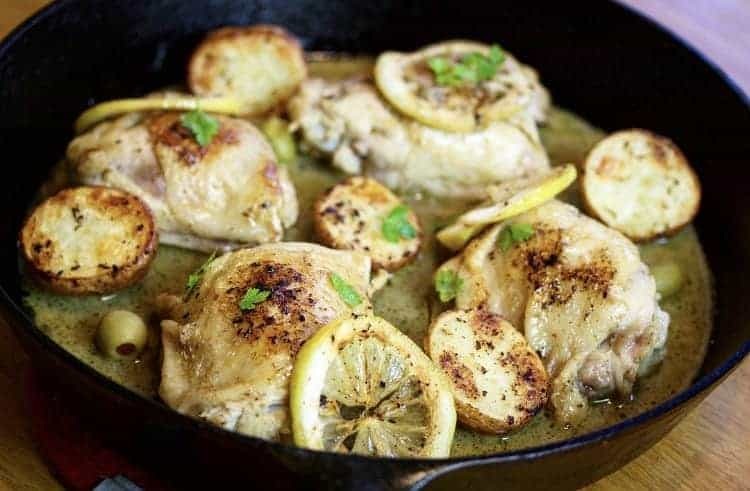 Remove chicken from skillet, serve with your favorite sides and enjoy!